Of course you want a good podcast, so that you can reach more people. And it all starts in the preparation. Why? Because people choose which podcasts they want to listen to. They base their decisions on the subject, theme, the length, the content of the episodes. Once they have made their choice, they listen to the first ep, to find out if it’s for them. And you don’t want them to stop listening because the sound is bad, right? Or because the content is actually not what they were expecting? 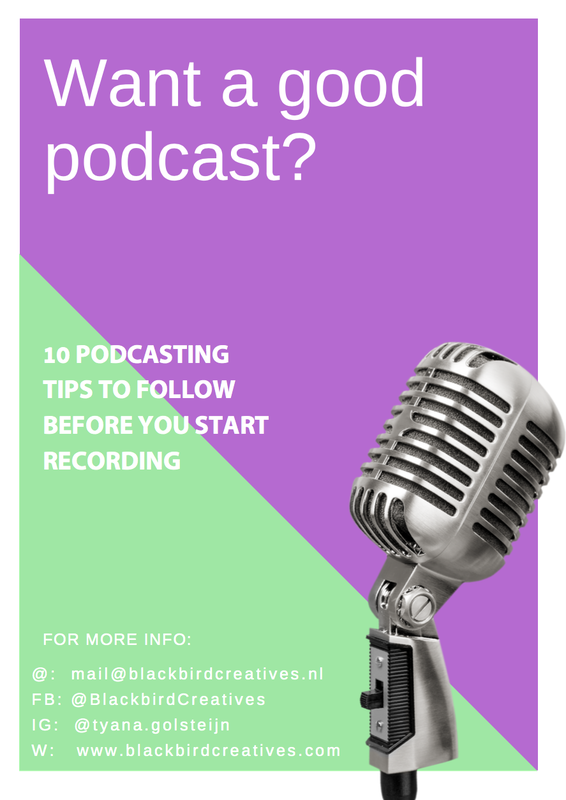 To make sure your podcast is ready to be recorded and published, I am offering this free ebook with 10 tips to follow before you start recording. Do you want to start your podcast right from the start? Download my free tips to follow before you start recording, to make sure your podcast is ready to be recorded and released to an audience. You will also receive my free podcasting and video editing tips so you can reach a bigger audience in less time. I respect your privacy and will never pass your information on to third parties.